I recently spent a month living in the Transylvanian capital, which quickly became one of my favorite cities in Romania, developing this list of the best Cluj restaurants. Cluj restaurants have a great variety of choices to offer. Here you can find everything from traditional Romanian food to fine dining, incredible vegetarian spots and mouthwatering burgers. 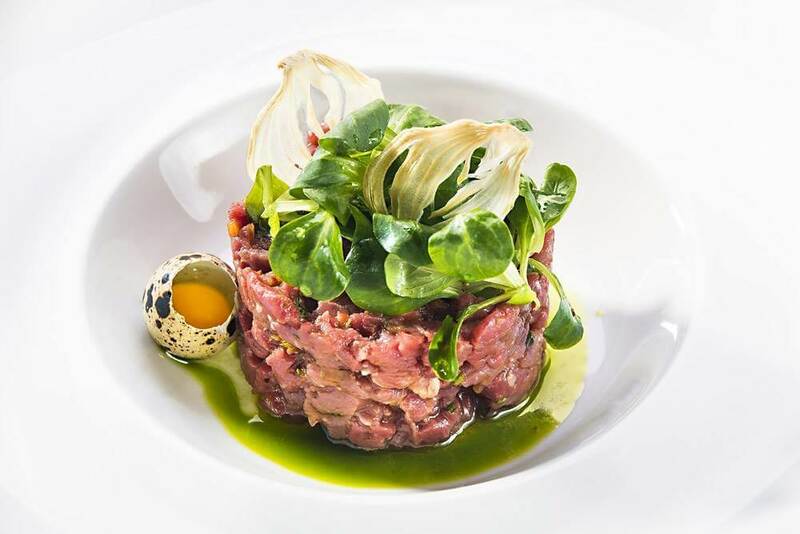 Easily my favorite restaurant in town, Baracca is fine dining in a contemporary setting. Most locals agree this is the best restaurant in Cluj. The menu features both local and international dishes. 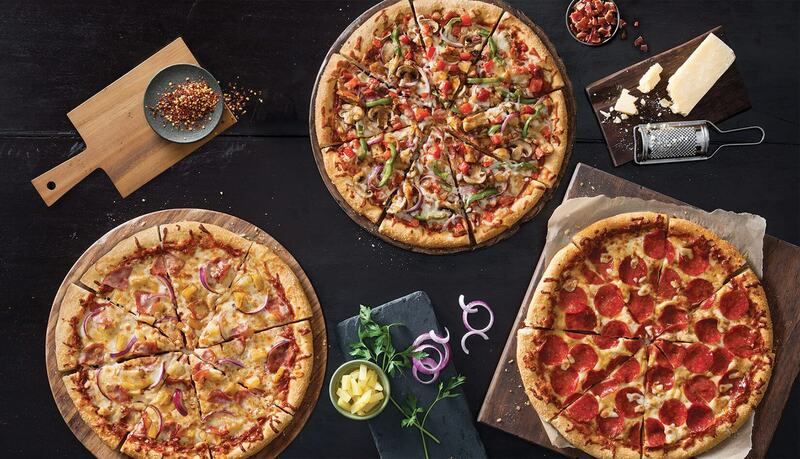 They use only the highest quality ingredients and opt for local whenever possible. 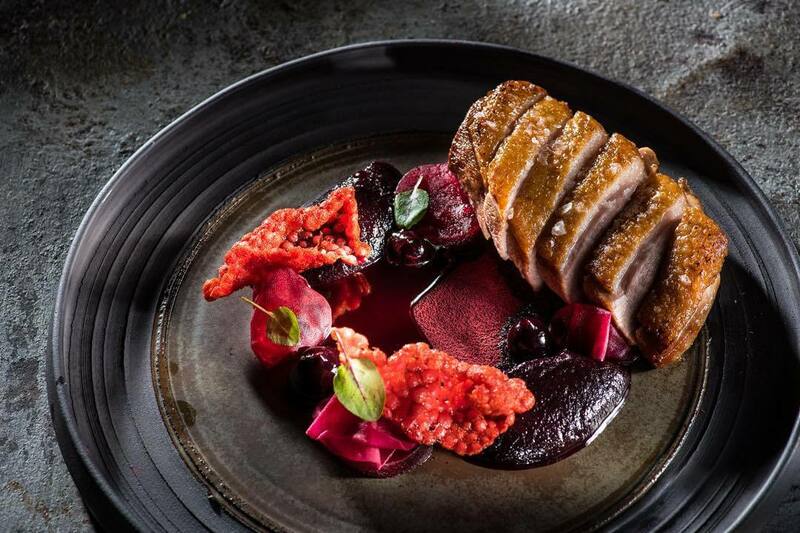 the Angus beef cheeks over pureed parsnip or the duck breast with a beetroot, black cherry and thyme reduction. Reservations are suggested (especially on weekends). Finally, be sure to save room for dessert, as their tiramisu is famous! While Via is my second favorite restaurant in town, I probably visited it the most often. The restaurant is phenomenal, but not quite as fine dining as Baracca. (Which means the prices were lower!) Via’s menu is small but well executed. 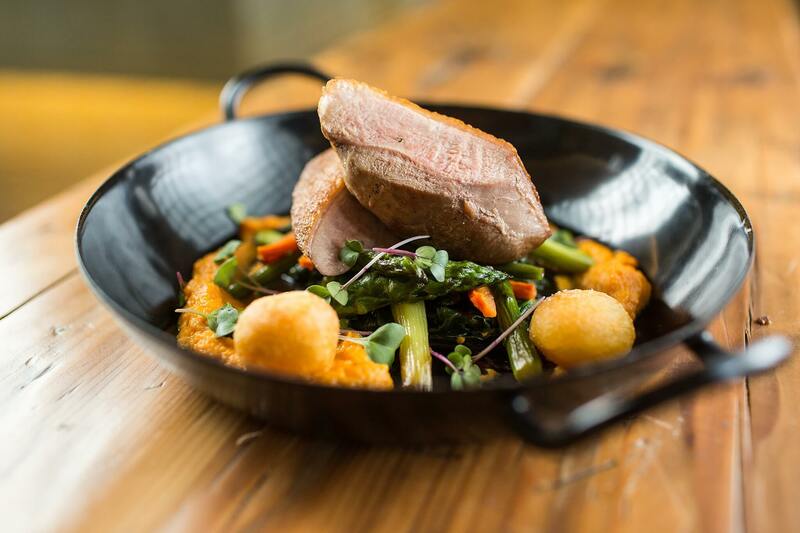 The best dishes include the roasted duck, spicy lamb soup, and the Mangalista roasted pork over root vegetables with herbed potatoes. You’ll likely need a reservation here too. If the weather isn’t nice enough to sit on the outside patio, ask to be seated in the downstairs dining room off the kitchen. I found that spot nicer than the main dining room. Roots was our go to breakfast spot. There, you can pair the best coffee in Cluj with a great breakfast/brunch menu. 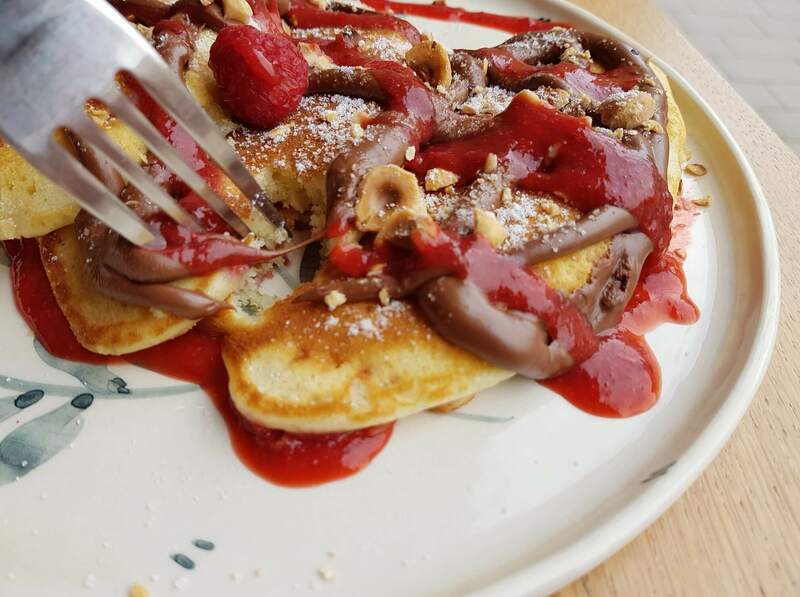 If you have a sweet tooth, be sure to check out these chocolate and red berry pancakes. 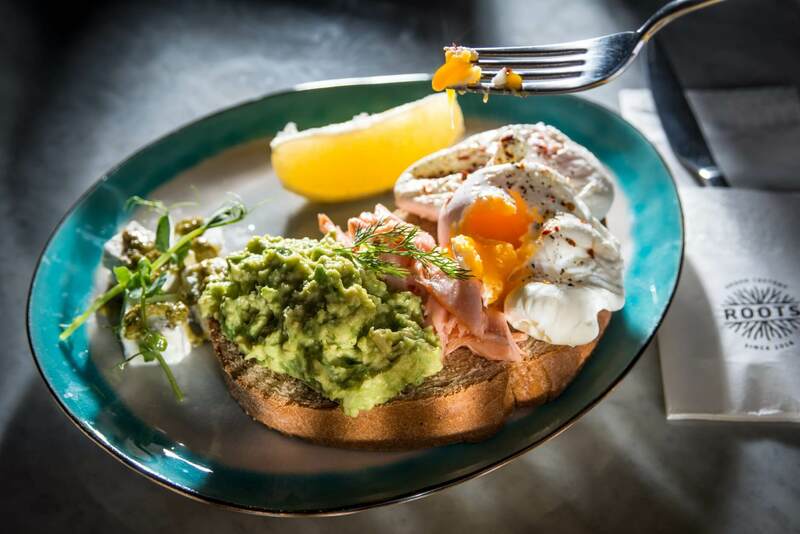 I rarely want a sweet start to my day, so this breakfast toast with smashed avocado, cured salmon and poached egg was my favorite. We were surprised by Zama. When you walk in, the place feels pretty upscale, but the prices are very reasonable, especially given their high quality food. 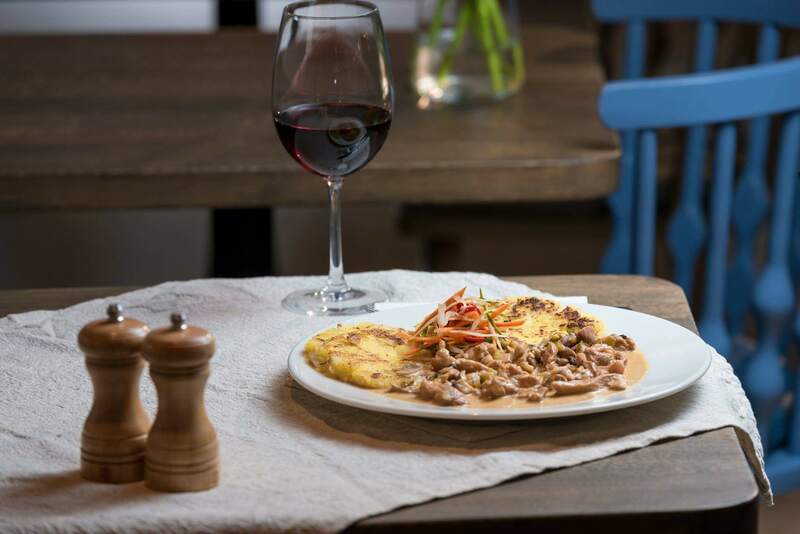 Zama serves upmarket versions of traditional Romanian fare. 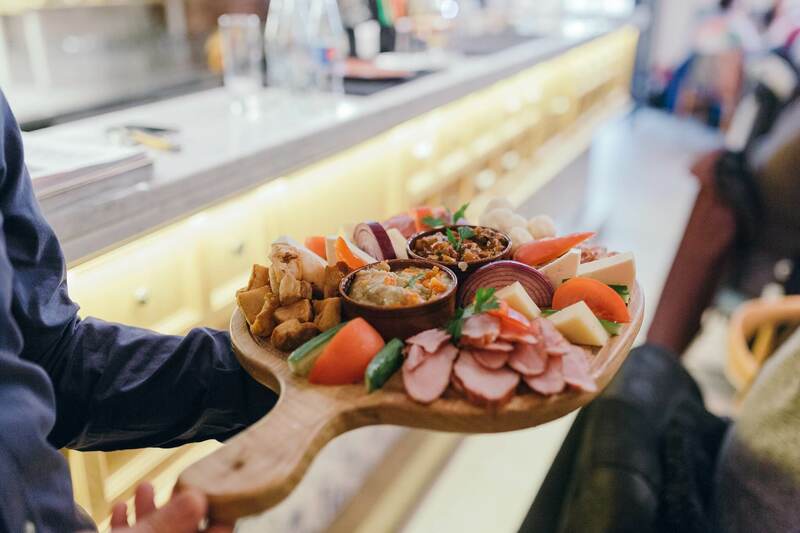 If you’re dining with a group, be sure to order one of their impressive starter platters for the table. We also loved Zama’s house wine, which was very good quality for the price, especially the white wine. I found the rosé to be too sweet for my liking, but they served better rosés by the bottle. Are you also planning a visit to Bucharest? 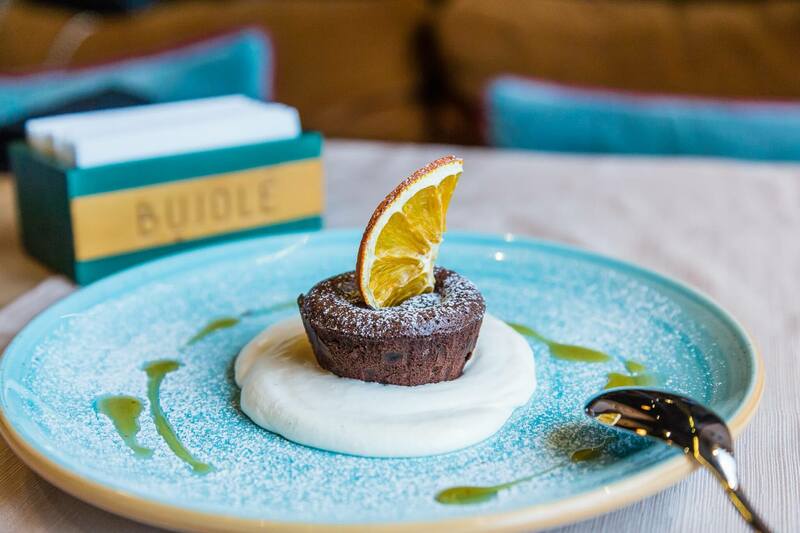 Check out this guide to Bucharest restaurants! Several locals recommended Casa Boema when they found out I was writing about food in their town. The restaurant was great, and they have one of the nicest patios in Cluj. When rain hit, we retreated to the upstairs dining room, which was large but somehow still cozy. I enjoyed perfectly cooked duck served over pureed carrots with roasted vegetables, while my friend had an impressive-looking lamb burger. Weather permitting, definitely try to be seated on the patio. Eggcetera is a newer restaurant in Cluj, but it’s already quite popular — there’s almost always a wait to get in. The menu is mostly made up of different breakfast toasts, both sweet and savory, that seem designed for Instagram. I also love that nearly all the seating is centered around a large communal table. This proved a great way for me to chat up locals and field other great suggestions about things to see and do while I was in town. If you’re not in the mood for designer toast, don’t worry. 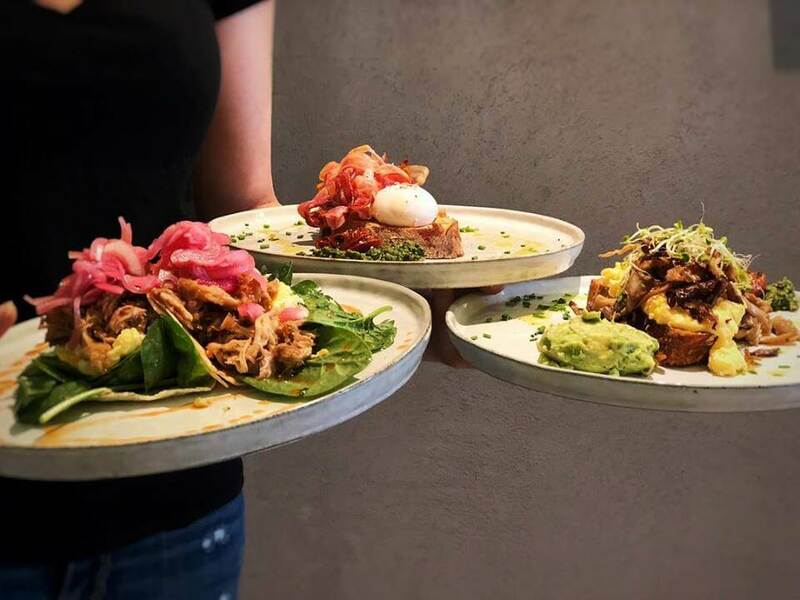 Their other options include breakfast tacos, French toast and even shakshuka. Old & Tasty is another favorite. They have a small menu of about 5 burgers, but you can build your own. 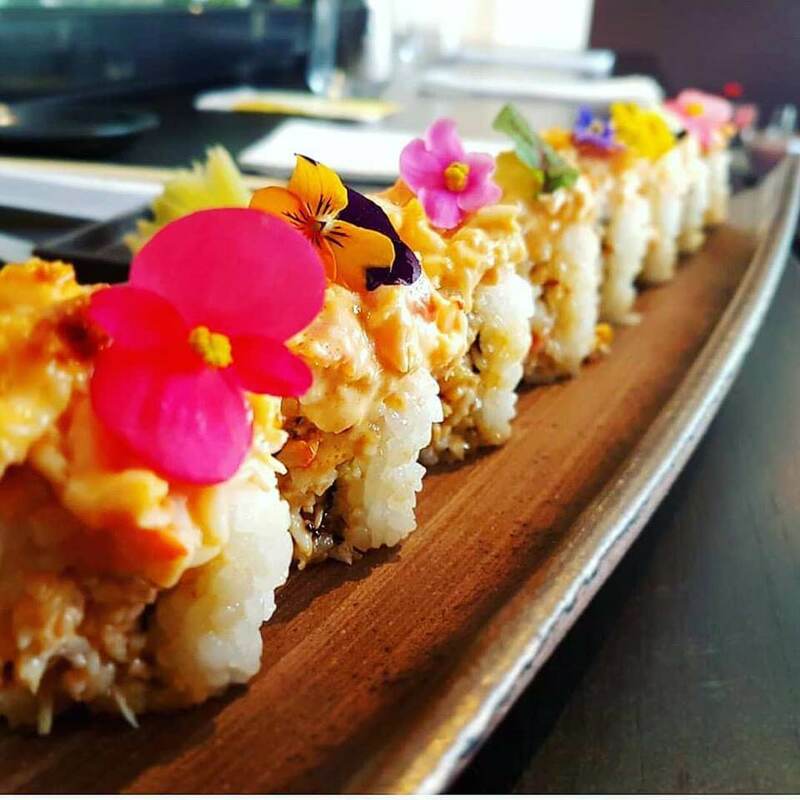 Even though the menu is small, everything is well thought out. The enthusiastic employees happily went over each burger with us and helped us make our choices. 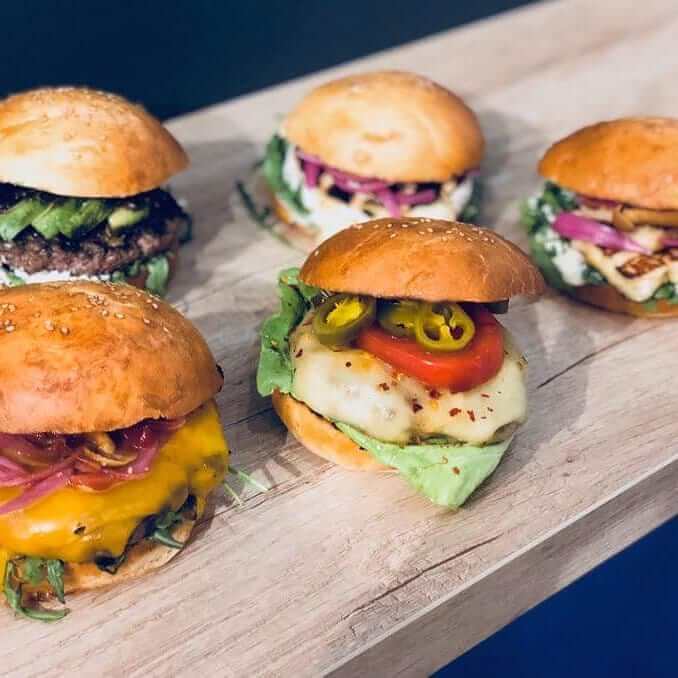 We each tried different burgers that day, but the avocado burger with feta won easily — I would go back again just to have that burger! 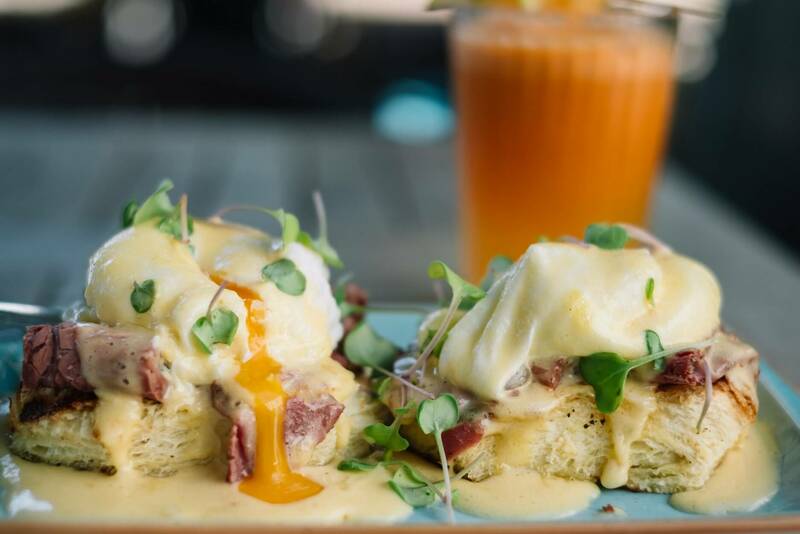 We had a really great brunch one morning at Bujole — all three of us ordered different dishes, and we all thought they were great. The brioche brunch item was delicious and a nice change from the usual eggs Benedict. 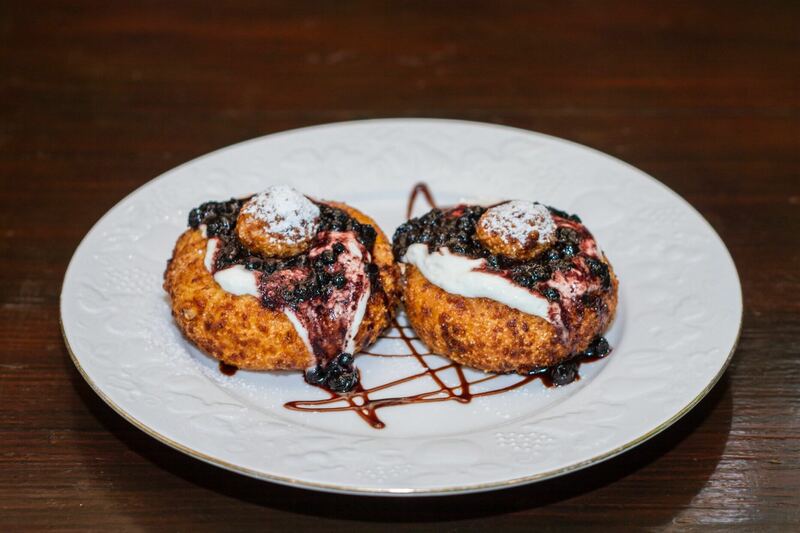 Their desserts also looked gorgeous, so be sure to leave room if you enjoy a sweet end to your meal. 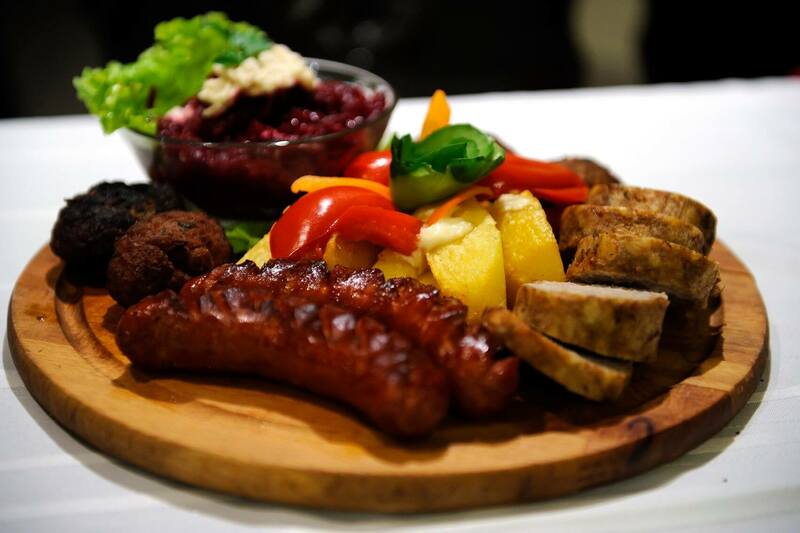 Roata is one of the best places in Cluj to try authentic, homestyle Romanian dishes. The menu features soups, grilled meats and several Transylvanian specialties. This is also the best place in town to try papanasi, a Romanian dessert of fried pastry with cheese and sour jam made with local fruit. Samsara Foodhouse, not to be confused with Samsara Teahouse, was recommended to me by locals over and over again. The vegetarian restaurant features many vegan and raw choices as well. 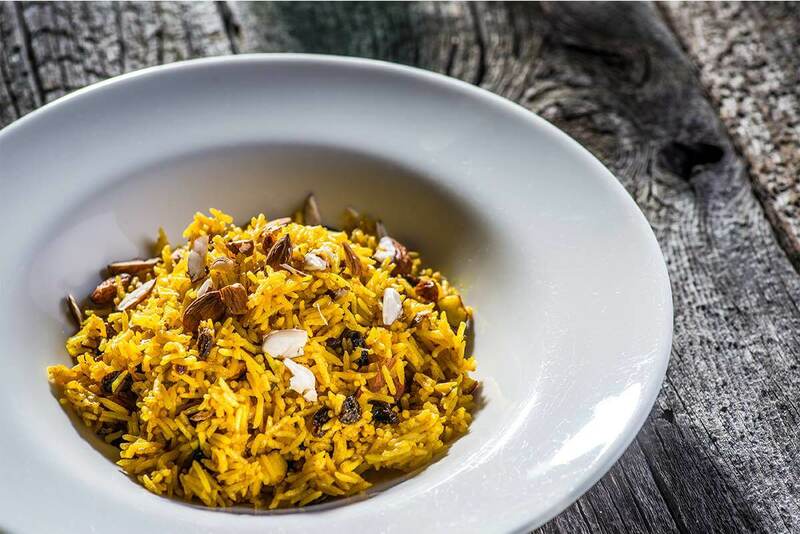 Samsara does some really creative things with their menu, including raw vegan gazpachos, salads, pastas, and this Moroccan rice dish. Samsara has also become quite well-known for their dessert menu. 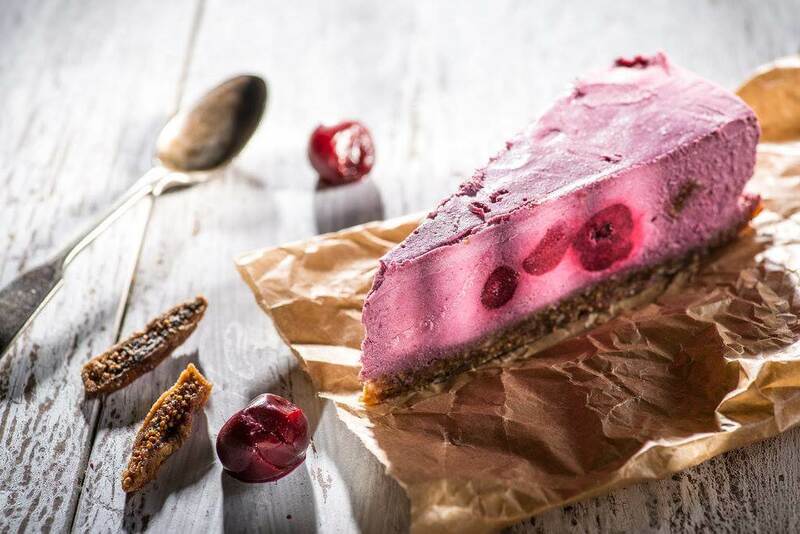 Many of their dessert options are even raw vegan choices. Bistro 1568 was another of my go to places in Cluj. With their specials, the menu is varied enough that you can always find something new — but it’s also not so big as to be intimidating. I appreciated their wine list, which while not the largest, had many great options. 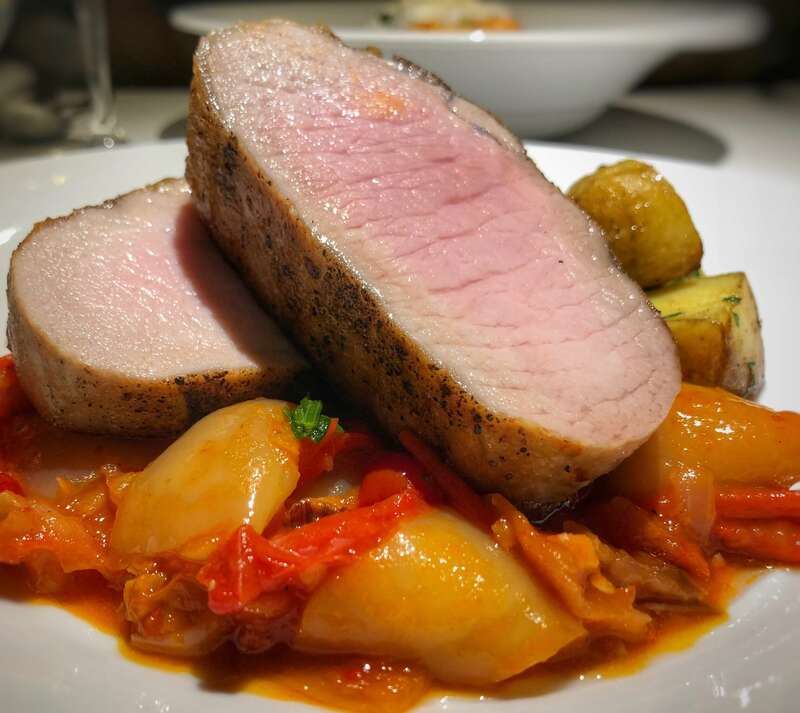 Some of my favorite dishes included the coffee-crusted beef cheeks or this roasted pork with savory pancakes. Locals mentioned Hanul Dacilor several times when asked where to find the best authentic Romanian food. The portions here are large and great for sharing, and the prices are reasonable, though the service could have been a bit better. Overall, I found it a good option for trying authentic fare. Will you also be visiting Brasov? 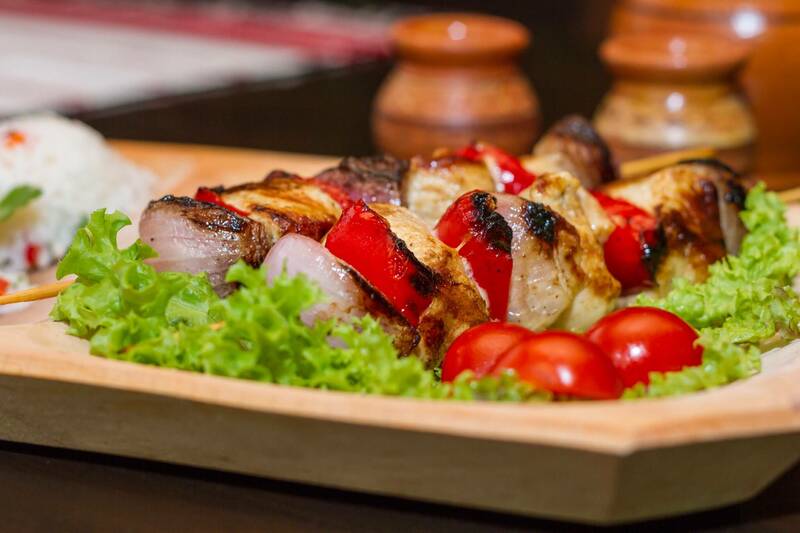 Click here to learn about the best Brasov restaurants. Although best known for their pizzas, this cozy Italian eatery also serves pasta dishes. I never tried anything other than the pizza, which was quite nice. While perhaps not authentic Italian, it’s a great option for when you’re having a pizza craving. The place becomes quite full during peak hours. Also, be sure to check out their 17 lei ($4.25 USD) lunch specials, which are one of the better deals in town. You may not think of coming to Cluj for really good Japanese food, but this place was highly recommended by other food bloggers before I even arrived to Romania! The restaurant has literal white-glove service, and many of the servers are decked out in kimonos. The food was good — really good — if not a bit expensive. 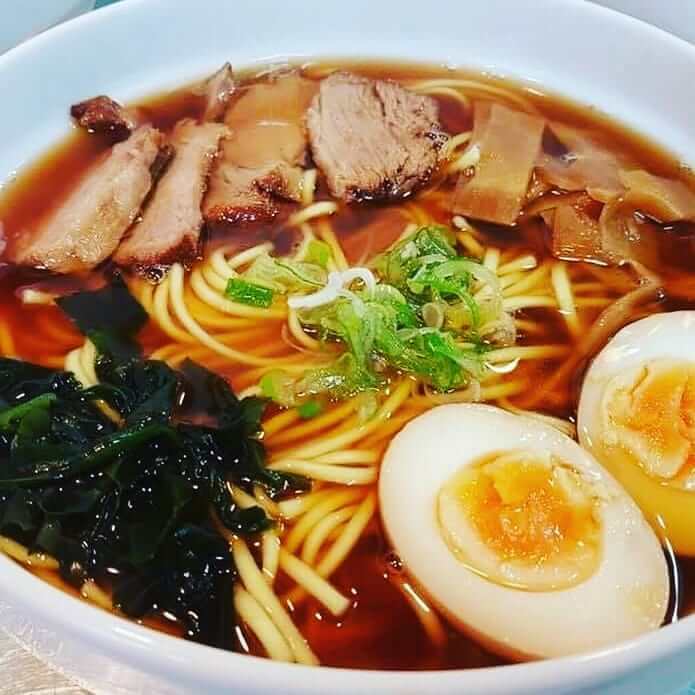 You absolutely must visit if you find yourself in Cluj and are craving sushi or ramen. They also had an impressive looking chef’s tasting menu that I plan to try on my next visit. 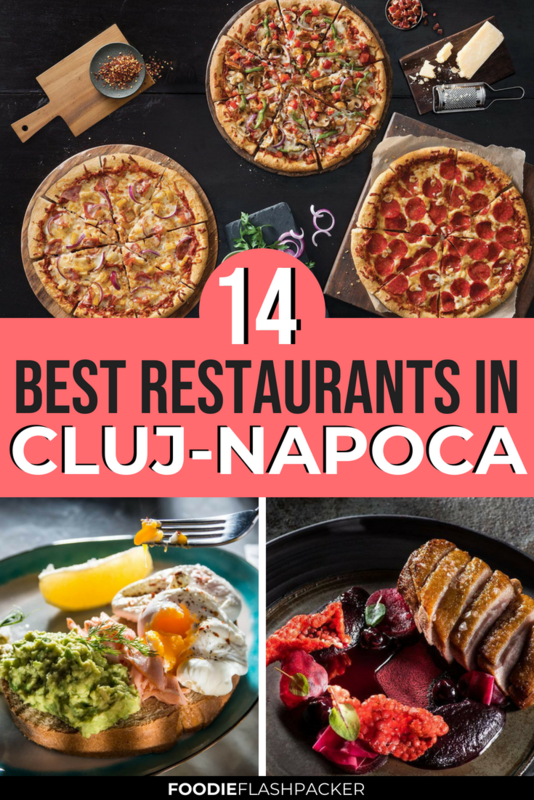 Which of these Cluj restaurants do you most want to try? Let me know in the comments section below! Like the post? Please give it a pin! I tried Bistro 1568 and Hanul Dacilor, both were “okay.” Portion sizes were of course, insanely too much for 1 person. I did not like papanasi, sour cream on a donut are conflicting tastes.